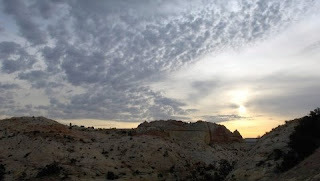 One of our favorite observations is that the best newspaper coverage of rural America is most often found in that supposedly most metropolitan of papers, The New York Times, because it makes a strong effort to be a truly national newspaper and report on the 20 percent of the population and the 80 pefrcent of the landscape that is rural. But the Times has disappointed and surprised us twice this week, with stories that exhibited a bias against rural and agricultural viewpoints. First, there was the story about stimulus money going disproportionately to rural roads, with no rural views on what justification there might be for that. (UPDATE, July 14: Bill Bishop at the Daily Yonder shows there were several other things wrong with that story.) Today, in a story headlined "Disillusioned Environmentalists Turn on Obama as Compromiser," reporter Leslie Kaufman and her editors said the House-passed climate bill's "perceived shortcomings" included "the usurping of the federal Environmental Protection Agency’s regulatory authority over carbon emissions." That's a reference to the bill's provision, added in a House floor amendment and frequently reported here, that would give the Department of Agriculture primary (not sole) authority to certify that farm and forest practices keep carbon dixode from entering the atmosphere and thus deserve government carbon credits. To those who would argue that the use of "perceived" makes the use of "usurping" all right, consider this: EPA has only recently asserted authority over carbon dioxide, has no regulations on it, and it waiting on Congress to act. Folks at EPA may feel that they have been usurped, but that's not enough to allow the usage above. Even "overriding," the next verb the story uses to describe the change, doesn't qualify in our book. No agency has ever certified carbon sequestration, so there's nothing to override. Or usurp. Without those glitches, the story would be fine. With them, it simply doesn't measure up to what we're used to seeing from The New York Times. Just our opinion. Alaska Gov. Sarah Palin's surprise resignation may have been crazy like an arctic fox when it comes to Iowa, Hawkeye State reporter Douglas Burns writes in the Daily Yonder. 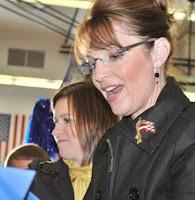 "The D.C. boys with the Blackberrys tell us that Palin should have stayed in Alaska to finish her term. Then perhaps, as she is only 45, take a shot at the U.S. Senate. Build some credentials, burnish that resume. That would put Palin on the same playing field as other politicians, and by that measure, she loses. Palin is already a political figure too large for the office she holds. That speech was clumsy but what matters is how Iowa Republicans will view her now. Will they hold it against Palin that she quit her job as Alaska governor to become a national advocate, a visible and likely effective one, for their values? It's hard to think of someone as a quitter when you see them more on television and at party dinners and in other venues than you did before. Meanwhile, Sean Cockerham of the Anchorage Daily News discounts Palin's claim that the State of Alaska has spent "millions" on records requests, complaints and inquiries targeting Palin. Actually, the state says the figure is $1.9 million, and "Most of it is a per-hour accounting of the time state employees, such as state attorneys, have spent working on public records requests, lawsuits, ethics complaints, and issues surrounding the Legislature's 'Troopergate' investigation last summer of Palin," Cockerham writes. "Those state employees would have been paid regardless." UPDATE, July 13: Republican pundits have blistered Palin's move, "revealing a serious split within the party," Mark Z. Barabak of the Los Angeles Times reports. Filling up the gas tank is a more expensive proposition in rural Minnesota, a new study by the Center for Rural Policy and Development says. Rural residents typically shell out about 3 percent more money for fuel and live on lower incomes than their urban counterparts, Don Davis reports for The Forum of Fargo, N.D., and Moorhead, Minn.
By nature, driving in rural areas is more costly than getting around a city: people are more spread out and many professionals like farmers require low-gas-mileage vehicles for hauling equipment and livestock. Davis reports that the average rural salary is $3,700 a month compared to an urban salary of $5,557, and research has found that as rurality increases, so too does the cost of gas. An Alabama newspaper is feeling the heat after experimenting with a special front page this week. The Anniston Star, fighting decreased readership despite its reputation as one of the nation's best community dailies, took a hint from a local publication and decided to wrap rack copies of Monday’s edition in a “Most Wanted” display crafted by the paper’s marketing department – a decision causing some tension in the town and in the trade, Liz Cox Barrett reports for the Columbia Journalism Review. Alarm has turned to relief for advocates of the documentary Coal Country. After losing the original venue earlier this week, the film will premiere tomorrow at a free 8 p.m. screening at the Cultural Center theatre in the state Capitol Complex in Charleston, W. Va. The 90-minute documentary has already received critical acclaim for its exploration of the controversy over mountaintop removal mining in Central Appalachia, Douglas Imbrogno reports for The Charleston Gazette. It takes an especially hard look at the transformation of average citizens such as Larry Gibson (wearing T-shirt in Gazette photo) into activists, and includes commentary from local residents to more famous people like singer Kathy Mattea, pictured. Imbrogno writes “because of the blasting away of mountains and the fouling of their land, as well as the plight of workers and families dependent on mining jobs,” some people once in favor of the industry have become disillusioned by its lingering effects. Producer Mari-Lynn Evans, who produced the award-winning PBS documentary The Appalachians in 2005, takes pride in the film’s objectivity, and says the decision of South Charleston Museum to cancel the screening this week was a shock. "Everyone is completely confounded because this film does show both sides,” she told Imbrogno. “I think people just need to see the film." Museum administrators say the move was prompted by not wanting to be associated with such a controversial event. UPDATE, July 10: Hill explained his decision in a 109-word note. Here is a Rutland Herald story on the closing, by Susan Smallheer. See another update below. One of the subscribers, freelance journalist and former New Hampshire Agriculture Commissioner Steve Taylor, says in an e-mail to The Rural Blog that the paper has had very few ads on some recent days, "but it tried its best with a solid local report" on Sullivan County and towns on the Vermont side of the Connecticut River. "The area is classic Rust Belt, still reeling a quarter of a century after its once-thriving machine tool industries got wiped out by Japanese competition. I wrote sports for the paper when I was in high school, and some of its alumni include Nelson Bryant, longtime Wood, Field & Stream columnist for The New York Times; Mel Wax, editor of the San Francisco Chronicle back in the '60s; and Art Silverman, now a senior producer with NPR. Sad day." UPDATE, July 14: The closing came as a big surprise for Claremont, which "just completed one of the most ambitious mill redevelopment projects in New Hampshire history," correspondent Kristen Senz reports for the New Hampshire Sunday News, the Sunday edition of the Union Leader in Manchester. "City Manager Guy Santagate led the efforts to bring more than $25 million in private investment into a community that many had viewed as forgotten and depressed. With that project complete and economic momentum building, Santagate said, it's devastating not to have a local paper to document what happens next." He told Senz, "We try to promote the city, and we try to communicate with the residents here and let them know what our strategies are. It's really very difficult to promote a city without newspaper involvement." A New York Times analysis shows that rural areas are benefitting the most from federal stimulus money provided for transportation projects, much to the chagrin of those who say metropolitan areas are more deserving, Michael Cooper and Griff Palmer report. Of the $26.2 billion set aside for highways, bridges and other transportation projects, states have independently approved projects estimated to cost $16.4 billion. While two-thirds of Americans live in "large metropolitan areas," the Times says, "The 100 largest metropolitan areas are getting less than half the money from the biggest pot of transportation stimulus money." Eighty-nine small counties that only make up a quarter of Missouri's population are getting nearly half of that state’s stimulus funds. In North Carolina, $423 million in projects has been approved, but Mecklenburg County, the most populated county and home to the city of Charlotte, is only getting $7.8 million, the Times reports. UPDATES: In the Daily Yonder, Bill Bishop picks this story apart. July 20: The Los Angeles Times reports highway stimulus money has flowed more slowly than expected. The Environmental Protection Agency has found that pollution from burning wood in stoves, fireplaces and elsewhere is the leading airborne cause of cancer risk in Oregon, but experts agree that the finding is partially due to Oregon’s meticulous record-keeping. Forty-five census tracts in four counties were found to have cancer risks above EPA’s benchmark level, Scott Learn reports for The Oregonian. Rural counties are particularly fond of wood-burning stoves, and urban areas increased risk levels with higher use of fireplaces, which release more pollutants. Last fall, the drinking-water source for more than 300,000 people was contaminated with high levels of salt as a result of discharges from natural gas drilling in Pennsylvania. Now, the state Department of Environmental Protection is seeking regulations on salt discharges from the practice, Rebecca Renner reports for Environmental Science & Technology. More than 500 deep natural-gas wells have been permitted in the state so far, as part of the rapid development of the Marcellus Shale, which lies about a mile underneath Pennsylvania and parts of New York, West Virginia and Ohio. Penn State geologist Terry Engelder estimates it is the third-largest natural-gas field in the world. Its development has been made possible by advances in high-pressure, chemically enhanced hydraulic fracturing of the shale, which can release compounds like metal and sulfides that were trapped, along with chemical byproducts. Wastewter can be treated, but certain elements such as salt dissolve so quickly and easily in water that removing them is difficult and time-consuming. Current information on the environmental effect of hydraulic fracturing is fragmented, and oil and gas companies appear to be using old, untimely reports to fight a proposed federal law regulating it. Abrahm Lustgarten of ProPublica writes that one industry report claimed state regulations for drilling and fracturing "are adequately designed to directly protect water," but then revealed that only four states require regulatory approval before hydraulic fracturing begins. The author of the report also said encasing wells in cement is critical to protecting water, but regulations on that practice also vary from state to state. Several environmental groups have joined forces to sue federal agencies over the location of the ‘West-Wide Energy Corridors’ for new electric transmission, Kate Galbraith reports for The New York Times. Among the complaints is a claim that the corridors, established by the outgoing Bush administration in January, were created without state or local input and support the use of fossil fuels, not renewable energy. The competition for water resources will be the topic of the next Farm Foundation Forum, on Tuesday, July 14, at the National Press Club in Washington. Registration is requested by close of business today, via e-mail to Linda Singer. Presenters at the forum will include Erik Peterson of the Center for Strategic and International Studies, Dan Keppen of the Family Farm Alliance, Karl Wirkus of the U.S. Bureau of Reclamation and Noel Gollehon of USDA's Natural Resources Conservation Service. The Environmental Working Group has also been invited to participate. The Press Club is at 529 14th Street NW. Coffee will be available at 8:30 a.m. These competing visions are exemplified by University of Kentucky historian Ron Eller, author of the recent Appalachian history Uneven Ground, and former Gov. Paul Patton of Pikeville, who is back in the mining business. Their views are the centerpiece of a story published this week by the Institute for Rural Journalism and Community Issues and being reprinted in Appalachian Kentucky newspapers. "Though they have different visions of Appalachia’s post-coal potential, when asked to identify the biggest impediment to economic development, Eller and Patton both responded with a single word: 'education'," writes John James Snidow, a summer research assistant for the Institute and a recent prize-winning graduate in economics from Harvard College. His story is the first in a series about the Appalachian economy. To read it, click here. "Agriculture Secretary Tom Vilsack identified a major unresolved issue" with the bill to combat climate change Monday when he urged a Senate committee "to let farm and timber interests earn credits for capturing carbon and other greenhouse gas emissions, an idea some environmental groups oppose," Daniel Whitten of Bloomberg News reports. “It is difficult to see how greenhouse-gas concentrations in the atmosphere can be stabilized” without incentives for landowners, Vilsack said. The secretary appeared to make the implicit argument that rural interests should get carbon credits partly because the climate bill would raise the cost of rural living. "Rural households are more likely than urban households to feel the pinch of increased gas prices" because they drive more, Vilsack said. "Fuel and fertilizer costs for farmers could increase too," reports Charles Abbott of Reuters. "Vilsack insists growers will wind up making money from climate regulations," reports Philip Brasher of The Des Moines Register. "Farm groups have expressed skepticism that a significant number of farmers or landowners will earn credits other than for planting trees." Some environmental interests have questioned whether USDA, its Farm Service Agency and its Forest Service can be trusted to certify that farm and forest practices are capturing carbon, a duty they would get under the House-passed bill. Vilsack said in his prepared remarks, "It is important that agriculture and forestry offsets have high standards of environmental integrity. Quantification and reporting systems need to be rigorous, verifiable, and transparent – and review and auditing systems will need to be in place. Uncertainties must be accounted for and reduced. Greenhouse gas benefits accrued through carbon sequestration will need to be monitored over time to ensure that the benefits are maintained and that reversals are accounted for if they occur." Read other prepared remarks here. "Unemployment continued to be higher in rural counties than in urban and exurban ones in May, but those job losses were concentrated in a few states. 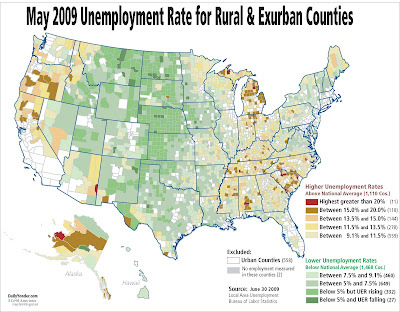 In much of rural America, unemployment rates were at or below the national average," Tim Murphy and Bill Bishop report. "Rural counties have 3 percent fewer jobs this May than they did in 2008. Both urban and exurban counties have lost close to 4 percent of their jobs during this same period." Since May 2008, rural unemployment has increased the most in Oregon and Indiana, the Yonder reports. For the story and state-by-state data, broken down by rural, exurban and metro counties, click here. UPDATE, July 9: Murphy and Bishop look at the rural, exurban and urban counties that have done the best, and worst, over the last year. David Letterman calls it "Small Town News," but often the newspapers that provide grist for his occasional feature on The Late Show aren't so small. Tonight, four of the seven were metropolitan dailies. Perhaps Dave should stick to the truly small towns, since the big ones get plenty of attention already. Or maybe including the big ones helps avoid rural stereotypes. Now that we've sucked our thumbs on that issue, we're obliged to pass along the funny papers, so to speak. Here they are in the order Dave gave them; at least he started with the rural papers. The Lassen County Times of Susanville, Calif., advertised a yard sale with "free rabies." The Biddeford-Saco-Old Orchard Beach Courier in Maine reported that a shoplifter put "pork chops down her pants." The Challis Courier of Idaho ran an ad offering to trade an old clothes dryer for two unopened packages of Oreo Double Stuf cookies. In non-rural news, the Lincoln Journal Star in Nebraska reported that a Rapid City, S.D., man charged with robbery listed his occupation as "robbery." In the Toledo Blade, a bar advertised "free toothpick with ad." The Milwaukee Journal Sentinel reported that a man in a nursing home "drove scooter too fast in dining room ... in a hurry to get to the sweet rolls." And a police item in The Washington Post said a woman had reported that a dog was going without food or water, but the canine turned out to be "a statue of a beagle." Coal-Mac Inc. of Holden, W.Va., said in a July 6 letter to chambers of commerce in Gatlinburg and Pigeon Forge, and the Tennessee Chamber of Commerce and Industry, that its sister companies in Kentucky and Virginia (Cumberland River Coal and Lone Mountain Processing) had canceled their annual company picnics for 780 employees and 2,340 family members at Dollywood in Pigeon Forge, and that it had asked its 300 workers, who "usually travel monthly to your state for entertainment, shopping and recreation" to do those things in the company's home states. The letter, written by Human Resource Manager Richard Phillips, concluded, “If you want our industry’s business, we suggest you let your representatives know that the industry they are trying to destroy is a major source of your tourism money.” The Citizens for Coal group told Lilly that it is also asking members to avoid Tennessee. Her story concluded, "Sen. Benjamin Cardin (D-Md.) is also a co-sponsor of the bill. Coal-Mac is not boycotting Maryland." "On its face it looks like a slam-dunk: Imports of dairy products should be paying for promotion just the way milk produced in the United States is subject to a mandatory assessment to build markets," and the Department of Agriculture proposes to do so, Steve Taylor writes for Lancaster Farming. But in Washington and the dairy business, change is almost always complicated. "Not so fast, say a mix of foreign governments, cheese importers, U.S. food manufacturers, global agribusinesses, anti-government waste groups and individual dairy farmers, some of whom have long opposed all mandatory promotion checkoff schemes," Taylor writes. The opponents "raise constitutional issues over the lack of a referendum for importers such as was provided for domestic producers, among many other concerns." "We are looking for somebody who can be a great spokesperson for local broadcasters, someone who has the ability to navigate Washington and advocate for our needs there. At the same time, we want someone who understands the nuances of our business and can relate to a small-market broadcaster as well as one of our publicly traded members." For 15 years, federal lawmakers have tried to limit junk food in schools, only to be thwarted by food-industry lobbies. Things may be different this year, partly because one of the more rural and obese states, Kentucky, is showing the way, Jane Black reports for the Washington Post. Only 12 states have comprehensive rules for foods sold outside the lunch line, but one virtue of the federal system is experimentation by states. Kentucky is the seventh fattest state (fourth among children), the sixth most rural, and has 172 separate school districts, so its experience could be persuasive for lawmakers worried about the effect on rural schools' revenue. And the lobbying landscape is changing, Black reports: "Even the food industry is supporting tighter standards in the face of reports that obesity rates have tripled in children and adolescents over the last two decades." Here are the latest data by state, from the Robert Wood Johnson Foundation. Here is an animated map of state obesity rates since 1985. A chicken dinner laced with arsenic might be what major poultry producers ordered, but Douglas Gansler, the attorney general of Maryland, vehemently disagrees in a column for The Washington Post. Arsenic, he argues, runs rampant in the United States, infecting our ice water, coffee, air and chicken -- much to the shock of citizens. In 1944, the Food and Drug Administration approved the feed additive roxarsone, an arsenic compound. Poultry producers used the additive to increase growth in chickens and fight off parasites. Gansler says that exposure to roxarsone -- a Class A carcinogen that has been linked to heart disease, diabetes and declines in brain function -- has been harmful to the population. Findings indicate that most Americans are exposed to between 3 and 11 times the EPA’s safety limit of such chemicals, and those most at risk include small-scale chicken farmers and their neighbors. The ambiguity of the Department of Agriculture’s “organic” label has many up in arms about the future of what The Washington Post calls the “fastest growing segment of the food industry.” Consumers may not always be getting what they think they are when purchasing organic, and relaxed federal standards for producers mean the label might be losing its luster, Kimberly Kindy and Lyndsey Layton report. In 2008, the organics market pushed $23 billion and a survey by Harvard University found that half of U.S. adults buy organic. But products with the "USDA organic" label are not necessarily produced free of pesticides or chemicals, and standards have eroded. The original organics law, passed in 2002, and allowed 5 percent of a USDA-certified organic product to be made of some 77 listed nonorganic substances approved by the National Organic Standards Board. Today, 245 substances are on list and only one has been replaced by an organic alternative. Food production has fast become a corporate industry with most major companies like Kraft, Kellogg and Coca-Cola owning the bulk of small, independent organic companies, and “that corporate firepower” has pressured the government to expand the definition of organic -- since big industry processed foods “often require ingredients, additives or processing agents that either do not exist in organic form or are not available in large enough quantities for mass production,” Kindy and Layton write. So, some question whether “USDA-certified organic” is being eroded in an effort to suit big-business demands. The efficiency of USDA's National Organic Program has also come into question. In 65 instances since 2002, the standards board has made recommendations that have not been acted upon, Kindy and Layton report. And that makes for a very uneven playing field. The NOP’s failure to interpret a law requiring that dairy cows have “access to pasture” has led to some farms selling milk as organic from cows who spend little to no time grazing in open spaces, and the victims are farmers who offer actual organic milk, Alexis Baden-Meyer, national political director for the Organic Consumers Association, says. “The truly organic dairy farmers, who have their cows out in the pasture all year round, are at a huge competitive disadvantage compared to the big confinement dairies." Barbara Robinson, who runs the organics program, has been called out by organic advocacy groups as part of the labeling haze. In the past, she has reversed board decisions that outlawed certain inorganic materials, and has a history of making organizational decisions individually. Three of her moves were rescinded by then-Agriculture Secretary Ann Veneman. An NOP board member, Joe Smillie, told Kindy and Layton that restrictive standards advocated by organic advocates would limit the growth of the market. "What are we selling?" he asked. "Are we selling health food? No. Consumers, they expect organic food to be growing in a greenhouse on Pluto. Hello? We live in a polluted world. It isn't pure. We are doing the best we can." Smillie also serves as vice president of the certifying firm Quality Assurance International, which is involved in certifying 65 percent of organic products found on supermarket shelves. Florida recently encated a law to regulate and monitor pain clinics that have become the start of a "pill pipeline" to the north, particularly to Appalachia, where prescription-drug abuse is rampant in many areas. Some national news outlets are paying more attention to the problem because of the death of Michael Jackson. The latest major story comes from Mark Potter of NBC News, who tells some heartbreaking stories about promising young people in Eastern Kentucky who died of overdoses. "While the problem exists in every state in the country, Kentucky led the nation in the use of prescription drugs for non-medical purposes during the last year, according to the state's Office of Drug Control Policy." Potter reports. "Officials said prescription drug abuse is particularly acute in the cities and rural areas of Eastern Kentucky. Last year alone, at least 485 people died in Kentucky from prescription drug overdoses, according to the state's Cabinet for Health and Family Services." Circuit Judge Beth Lewis Maze of Mount Sterling, who holds court in four east-central Kentucky counties, told Potter, "It's an epidemic and I'm afraid we're losing a whole generation." Potter notes that the Florida law "won't be fully implemented until late next year. Kentucky and most other states already have such monitoring laws in place, making it much more difficult for addicts and dealers to buy large amounts of prescription medication by going from clinic to clinic – a common practice in Florida." As a Senate committee begins hearings today on the massive bill written to slow and mitigate climate change, some in the coal industry see it as a life-or-death battle, reports Anne Mulkern of Greenwire for The New York Times: "Although the House bill includes some help for coal, it also creates incentives for utilities to move away from polluting fuels. Industry advocates and independent analysts say that leaves coal with few options for a sustainable future." The story explains the basics of how the bill would affect coal: initially helpful, but in the long term discouraging its use, and perhaps catching it in a squeeze where technology fails to keep pace with markets. "The industry's hope is that it can find a commercially viable way to capture carbon emissions and sequester them underground or underwater," Mulkern writes. "But putting the pieces of that technology together and getting them running before the carbon cap tightens could be difficult. . . . It is through that narrow window that the industry sees a potential valley of death. If utilities switch away from coal, coal-fired plants won't be built, coal production will stop, coal miners will lose their jobs and the ancillary businesses around coal will shut down, said Luke Popovich, spokesman for the National Mining Association. Then, even if carbon capture and sequestration comes online, Popovich said, it will be too late." So, the coal industry is lobbying "to slow down the pace of any cap-and-trade system," Mulkern reports. "The House bill would reduce greenhouse gas emissions from 2005 levels by 17 percent by 2020, 42 percent by 2030, and 83 percent by 2050. Coal advocates are not revealing what numbers they are willing to accept, only that the ones in the House bill are unrealistic for the industry." But environmental lobbyists say the timetable has been weakened too much already, and alternative energy sources eventually can fill in the gap if they get enough government incentives, Nick Berning of Friends of the Earth told Mulkern. "And energy efficiency alone can make a big cut in greenhouse gas emissions. But it could be tough to win that argument in the Senate, he said, where coal potentially has a strong influence." Berning told her, "Ultimately, the way Congress operates is, unless the public gets really interested in an issue, special interests get what they want." For an advance look at the Senate hearings, from Darrell Samuelsohn of Greenwire, click here. For excerpts of Agriculture Secretary Tom Vilsack's testimony about the role of rural America in combating climate change, click here. Rhode Island has already legalized the sale of marijuana to sick individuals and now the state has authorized a nine-member commission to further study decriminalization of the drug. Meanwhile, Oregon last week joined 15 other states with legislation that permits the growth and sale of industrial hemp. Rhode Island lawmakers are hopeful that the commission will shed new light on the “experience of individuals and families sentenced for violating marijuana laws” and the experience of people in places where marijuana sale and possession has been largely decriminalized, Katherine Gregg reports for The Providence Journal. The panel is examining whether marijuana use among youths and adults in the state has decreased since it was made illegal in 1918, and to see how imposing a “sin tax” of $35 per ounce of marijuana could increase state revenue. President Obama said today he plans to nominate the United Mine Workers' former health-and-safety director to head the Mine Safety and Health Administration and Pennsylvania's chief mine regulator to head the Office of Surface Mining Reclamation and Enforcement. The appointments are likely the most important personnel actions Obama will take in regard to coal mining, and are of particular interest in the Appalachian coalfield. Joe Main, left, is a familiar figure in the coalfields. Now a private mine-safety consultant, he ran the UMW's health-and safety department from 1982 to 2004. The White House press release says he "is internationally recognized as an expert in mining health issues." If confirmed by the Senate, he would be assistant secretary for mine safety and health in the Labor Department. The strip-mine office is in the Interior Department. Its new boss would be Joseph G. Pizarchik, who has been director of the Pennsylvania Bureau of Mining and Reclamation since 2002 and with the state Department of Environmental Protection since 1991. The release calls him "a pragmatic innovator." In choosing Pizarchick, Obama and/or Interior Secretary Ken Salazar avoided candidates proposed by environmentalists in the major strip-mining states of Kentucky and West Virginia, where Obama was not competitive in the November election, and the proposed choice of acting director Glenda Owens, who drew fire from the environmental community. Rural children are more likely than their urban counterparts to live in households with unmarried couples, according to a new report from The Carsey Institute at the University of New Hampshire. Authors William O’ Hare, Wendy Maning, Meredith Porter and Heidi Lyons also found correlations among poverty levels and economic stress that may contribute to the increasing rates of rural cohabitation. In 2007, the Census Bureau’s American Community Survey counted 4.8 million children in cohabitating households – 1 million of whom live in rural areas. The most recent report indicates that the number of rural children living in a cohabitating household has grown by almost 50 percent since 2000 and now surpasses the ratio of urban children living in cohabitation situations. Among those rural children living with a cohabitating couple, the poverty rate is approximately 10 percent higher than those in married-couple households. Twitter and Facebook may seem alien to the agricultural world, but experts say the tide is turning. Farmers are beginning to give into the appeal of ‘tech gadgets’ and online social networking, and many are finding them a welcome companion in the fields, Jeff Caldwell reports for Agriculture Online. Among the most coveted devices are smartphones, whose applications are increasingly finding more uses on the farm. University of Illinois extension soybean specialist Vince Davis says the smartphone has shifted how he handles weather and crop data with field-station transmitters. "It allows me to get better and more timely information for me to make decisions," he told Caldwell. "Better info equals better decisions. Also, because it is seamless, I do not need to 'go to the office' to check e-mail -- this helps to free up time to keep me in the field." State laws, federal legislation and court rulings left the U.S. without any abbatoirs to provide horsemeat for European and Japanese markets. That “changed the economics of horse ownership” to the point where “owners are now faced with the expense of euthanizing their animal and disposing of the remains – usually at a cost of hundreds of dollars,” Rodriguez writes, citing Jamie Price, a horse-population researcher at Purdue University. 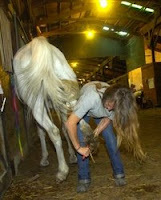 In addition, horses can outlive their owners and develop medical problems that require temporary or chronic care. 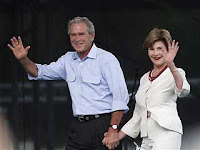 “This is a little different from the last eight years,” Bush said about being in Woodward. He said he had spent each Fourth of July during his presidency on the Truman Balcony watching fireworks over the Washington Monument. He did say, however, that he was happy to be in “the middle-of-nowhere oilfield town of Woodward” as The Associated Press had deemed the city on Thursday. “No wonder I feel comfortable here,” Bush said to applause when he quoted the article. Bush had another local angle, Painter reports: "Besides military patriotism, Bush said there were other forms of patriotism. He mentioned some local forms such as Meridian Owens, an 8-year-old Girl Scout who saved several people from a burning building in Woodward this past year." For the rest of Painter's 783-word story on the event, which also marked a $25 million renovation of a local park, click here. The News, a daily paper with a circulation of 5,000, is owned by Community Newspaper Holdings Inc. For an AP report, click here.